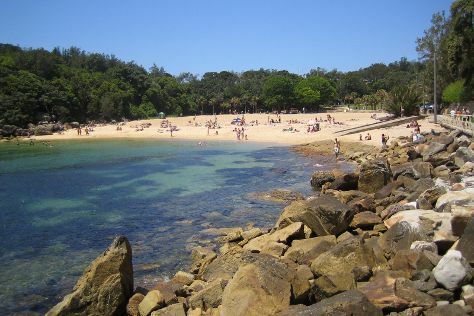 Escape the urban bustle at Canyoning & Rappelling Tours and Shelly Beach. Your cultural itinerary includes sights like Nan Tien Temple and Bradman Museum & International Cricket Hall of Fame. Change things up with these side-trips from Sydney: Palm Beach (in Palm Beach), Katoomba (Wentworth Falls & The Giant Stairway) and The Crommelin Native Arboretum (in Pearl Beach). Spend the 21st (Tue) exploring nature at Bouddi National Park. And it doesn't end there: get up close to creatures of the deep with a dolphin and whale watching tour, enjoy the sand and surf at Bronte Beach, stroll through Whale Beach, and take in the awesome beauty at Pulpit Rock Lookout. If you are flying in from United States, the closest major airport is Sydney Kingsford Smith International Airport. In May, plan for daily highs up to 70°F, and evening lows to 54°F. Wrap up your sightseeing on the 25th (Sat) early enough to travel back home.